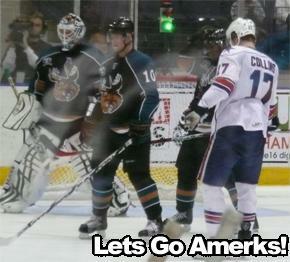 Gates Residents To See Amerks · Let's Go Amerks! From the D&C – Gates residents can take a bus to watch the Rochester Amerks play the Manitoba Moose on March 28. The bus will leave the Gates Community Center at 6 p.m. The game starts at the Blue Cross Arena at 7:35 p.m. The trip is open to people 3 and older; children 16 and younger must be accompanied by a responsible adult. The fee is $12, or $18 for nonresidents.